The new General Data Protection Regulation ("GDPR") comes into effect on 25 May 2018. If you wish to continue to receive the ES-SO Newsletter we kindly remind you to reply on our e-mail invitation 11th May. 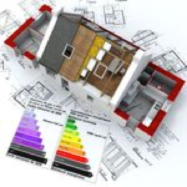 The recently revised EPBD changes tap into the huge potential for energy efficiency gains in the European building sector. The revision includes measures aiming to accelerate the rate of building renovation towards more energy efficiency and to make buildings smarter by attaining several simultaneous objectives: lower energy bills, better health and protection of the environment. Also included is a link between buildings and e-mobility infrastructure, and helping stabilize the electricity grid. ES-SO welcomes this EPBD revision as a further step forward in reducing the CO2 emissions, as over a third of these are still produced by buildings. “Health” and “comfort” aspects are also being introduced, a sign that policy makers do recognize that buildings where we spend 90% of our daily life need more than energy savings only. What next? The text of the new Directive will be published in the Official Journal of the Union in the coming weeks. It will enter into force 20 days after publication, and Member States will then have to transpose the new elements of the Directive into national law within 20 months. The EU has committed to cut CO2 emissions by at least 40% by 2030 while modernising EU's economy and delivering on jobs and growth for all European citizens. In doing so, the Commission is guided by three main goals: putting energy efficiency first, achieving global leadership in renewable energies and providing a fair deal for consumers. The European solar shading and roller shutter industry which is using energy efficient technology to improve thermal (prevent overheating and provide passive cooling) and visual (glare and optimizing natural daylight ) comfort in homes and buildings is equally committed to give its contribution in achieving the EU Commission’s objectives towards a clean energy transition. Read more in below subjects how we are doing such. At the World’s leading trade fair for solar shading systems and roller shutters 1st March ES-SO had its workshop presenting new tools for the industry, the latest developments on CEN/ISO Standards and the results of the Hauser energy balance study in Germany. See all speakers presentations. The ES-SO Manual SOLAR SHADING FOR LOW ENERGY AND HEALTHY BUILDINGS, edition 2018, which is the technical backbone of the training courses can be downloaded here. More info on the training by contacting the national member or ES-SO. UK: Overheating in domestic homes, specifically in built-up urban areas, has become a pressing problem throughout the UK. London South Bank University (LSBU) collaborated with the British Blind and Shutter Association (BBSA) in conducting a real-world study that investigated how external and internal solar shading systems impact on internal operative temperatures within a renovated block of flats in North London. The implementation of solar shading has been found to be very beneficial in maintaining thermal comfort within the building when external temperatures were recorded both above and below 20 - 25°C. During this real-world case it became obvious that in the UK building model the simulation did not generate accurate models of shading products and the mitigation impact of shading was understated. This is a cause for concern in building design as this apparent performance gap will become of significant value due to ongoing climate change. 1st European conference ‘BIM and energy performance of buildings’ 25 June 2018, 9:00 – 17:00, Brussels.